When it comes to the challenges presented during a water heater flood, sprinkler malfunction, or toilet overflow, there is no one more perfect for the job than 911 Restoration Central Mississippi owner Richard Lee Sims, and his water damage Clinton team. To provide people with the highest quality restoration services, Richard and his water damage Clinton team arrive within 45 minutes of a call request for help, and this allows them to save much of the structure from the additional loss of lingering in these situations. “My crew and I know that when it comes to taking on the additional challenges that can arise from a water damage situation, such as mold and fungus contamination, that the best route is to take it on quickly so that there is less a chance of colony formation or transference,” Richard says. In addition to being at the site of a water damage event quickly, Richard and the water damage Clinton specialists are also capable of providing those services 24/7/365 whenever something comes up. 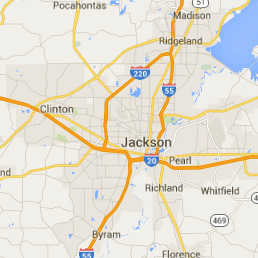 If your home is already amid a flooding event, water heater loss, or toilet overflow, then don’t wait another instant to contact Richard and his water damage Clinton team with 911 Restoration Central Mississippi today! Richard and his water damage Clinton crew know all about the best ways to eliminate the effects of water damage when these situations have already occurred, but they are also incredible at helping people to avoid these scenarios altogether too. Protect your home and your roof by trimming the trees that surround your property. These may have dead limbs or branches that can come down in heavy wind and slice right through the layers of your roof and introduce water damage to the inside. Take the time to check your sump pumps and make sure that they are in perfect working condition before the start of the rainy season. A sump pump failure can cause a mass flooding in your home, so if they aren’t working perfectly, replace them to avoid water damage. Make sure that the hoses and fittings on your water-connected appliances are in great shape. These items experience wear and tear through constant pressure. 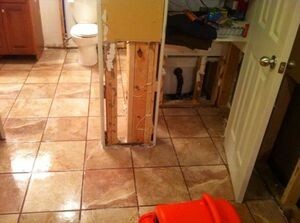 Replacing them is easy and cheap and can save you from huge amounts of water damage later on. Examine your gutters and downspouts one a year to make sure that there aren’t any clogs that can form barriers and induce overflows into your attic and roofing materials. Let a pluming professional or restoration expert come and take a look at your whole system every few years to find anything out of the ordinary which may result in water damage later on. 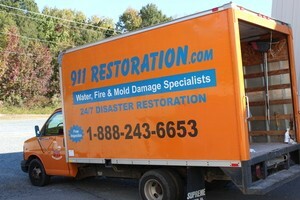 If your home or storefront is amid a water damage event at present and you want the best in the industry to make it like new again, then don’t hesitate to contact Richard and the water damage Clinton team with 911 Restoration Central Mississippi for all the help you need today! Richard and the water damage Clinton crew know all there is to about the world of restoration, and this is how they have grown to become the go-to provider of services in the area. And their status as the most trusted experts in the area was bolstered recently when Richard and his water damage Clinton team got called out to a project with a pipe burst in the bathroom. Richard and his water damage Clinton team extracted the standing water, and then pulled out all of the soaked drywall and other building materials that had been affected. 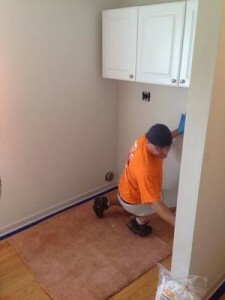 If your bathroom is already underwater from a pipe burst, water heater leak, or any other form of flooding, then don’t wait another minute to get in touch with Richard and the water damage Clinton crew with 911 Restoration Central Mississippi today!